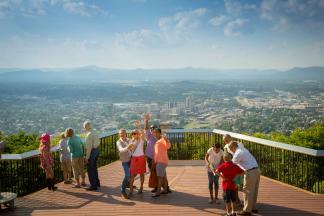 We’ll keep you busy and entertained with a summer vacation in the Roanoke Valley in Virginia’s Blue Ridge with the many events on the calendar! It’s a busy time of year for live music, festivals, carnivals, and other special celebrations throughout the region. If you’re looking for information about Independence Day fireworks shows, we have a post dedicated to a list of events where you can enjoy fireworks on the 4th of July. In addition to the patriotic celebrations, here are 30 events to check out this July in Virginia’s Blue Ridge! 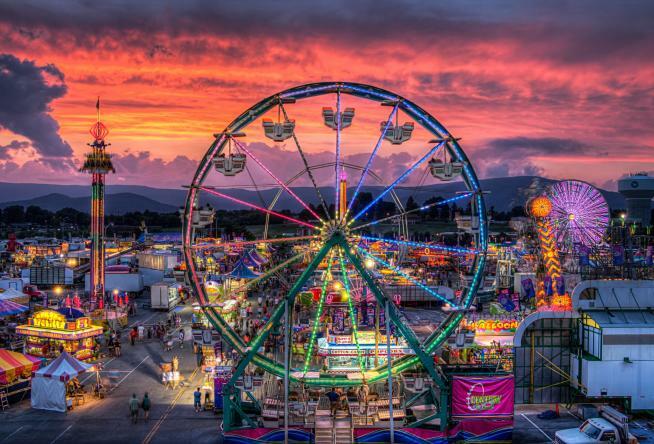 Virginia’s largest fair is back for its 30th year! The Salem Fair has been recognized as one of the top fairs in the country and features exciting rides, delicious food, and fun live entertainment for the entire family. Take part in the 64th annual Buchanan Community Carnival in the charming town of Buchanan. There will be family-oriented games and rides, as well as fantastic food, including funnel cakes and Carnival burgers. Spend a Blue Ridge Day at Jeter Farm on the James River for its first truck and tractor pull. It’s a family-friendly event where food and alcohol will be available for purchase and there will be multiple classes of pulls. Live music by Tobacco Apache, food served by Longfin Grill, Cool Blue Ice Cream, and Two Roosters Kettle Corn & Coffee Company, beer by Chaos Mountain Brewing, and a motorcycle display by the Roanoke Valley Harley Owners Group! There will be all kinds of cool stuff to enjoy at Grandin Chillage! It’s the second annual Rolling of the Bulls in Virginia’s Blue Ridge! Participants will do their best to complete the .8 mile fun run without being “gored” (touched) by the Valley’s All-Star Roller Derby Girls. Runners of all ages are invited to participate and there will be a Kids Fiesta following the race. Looking for live music on Independence Day? Head to Dr Pepper Park at The Bridges for a performance by the Red Not Chili Peppers, a tribute band for the iconic Red Hot Chili Peppers. This group will deliver the sounds that have made the Red Hot Chili Peppers one of the most popular bands in the world for the past three decades. The 4th of July marks the 65th anniversary of the Mill Mountain Zoo. 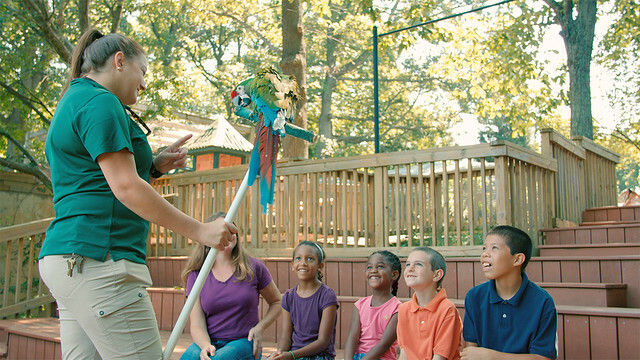 Pay a visit to all your favorite animals, such as the red panda or snow leopard, and enjoy a slice of birthday cake! Free admission for all fireman, police, military and first responders with ID. The Black Dog Americana Music Festival will offer a full afternoon of award-winning Chateau Morrisette wine and authentic Americana music. Listen to the deep South sounds of Beth McKee and Austin based Mingo Fishtrap. Relax with a seat on the lawn or get up and show off your dance moves! A wine event that’s horse and dog friendly?! Now in its 13th year, the Peaks of Otter Horse & Hound Festival is one of the region’s most popular annual events. The festival includes wineries from around Virginia, live music, arts & crafts, and numerous horse and dog activities. The Mingle at the Market monthly concert series is the place to be in the Town of Vinton! The July event will feature live music by Low Low Chariot and Rutledge, two locally-based bands, and great food served by the Fast Burger food truck. This classic Italian opera returns to Virginia’s Blue Ridge for a performance at the Moss Arts Center at Virginia Tech. Rigoletto was written by Giuseppe Verdi and is the story of the Duke of Mantua through his journey of love and vengeance. Fresh off the Carolina League All Star game, which was hosted in Virginia’s Blue Ridge, the Salem Red Sox are looking to get back to their winning ways in the 2nd half of the season. The Sox feature many of the brightest young players in the game, including recent All-Star game MVP Michael Chavis. Dr Pepper Park at The Bridges presents the sounds of Motley Crue as part of its popular Flashback Fridays concert series! North Carolina based Mostley Crue is one of the premier Motley Crue tribute bands on the East Coast and performs flawless renditions of the band’s biggest hits. This signature country music concert series is presented every month by Big Lick Entertainment from May through September! The July event will feature live music by The Low Low Chariot with special guest Eleven South, as well as kids activities and more in a beautiful setting in Botetourt County. It’s three days of pirate themed family fun at Smith Mountain Lake! Businesses around the lake show off their pirate spirit with costume contests, treasure hunts and more. The weekend even kicks off with a Pirate Ball at Mango’s Bar & Grill on July 13! It’s a festival all about bacon! What more do you need to know?! The 5th annual BaconFest VA is taking place at Berglund Center this year and will feature nearly 100 different bacon-inspired items, in addition to local wineries, breweries and artisans. Back for its second year, the Deschutes Street Pub is returning to Elmwood Park for its free street party in Virginia’s Blue Ridge! This family-friendly event will offer the opportunity to enjoy Deschutes Brewery beer from over 50 different taps, live music, and other creative activities. Proceeds will go to benefit local charities. Jazz in July in Salem’s Longwood Park will provide attendees the chance to enjoy an entire evening of live Jazz music! The show is headlined by Florida’s Ari & The Alibis, but there will also be performances by Robert Jospe & The Express Quartet and Salem’s own Jane Powell with Lenny Marcus & Friends. Chantilly Farm hosts the Floyd Energy Fair, which will be all about the importance of energy conservation and renewable forms of energy. There will be demonstrations, workshops, and presentations from a variety of experts who cover a range of energy-related topics. We have a “Good Feeling” about this concert as Flo Rida comes to Virginia’s Blue Ridge to perform in Elmwood Park as part of the 2017 Budweiser Summer Concert Series! The rapper, singer and songwriter has become one of the biggest stars in the music industry and is known for his exciting live shows. Country music fans will make their way to the Salem Civic Center in Virginia’s Blue Ridge on July 20th for an opportunity to see Jamey Johnson in concert. Johnson is the recipient of multiple Country Music Awards and 11 Grammy Award nominations. Join the party at The Pavilion at Daleville Town Center in Botetourt County! On July 20th, the Party at The Pavilion will feature live music by The Kings. There will also be kid-friendly activities in the Kids Zone, food and beer available for purchase, and admission is only $5.00! Support the local arts scene in Virginia’s Blue Ridge by attending this free collaborative project between Hollins University and Mill Mountain Theatre. It’s a three-day event that showcases 10 readings of work by students from the Playwright’s Lab. It’s definitely a #FlashbackFriday when you head out to the Town of Buchanan for the Cruise-In & Block Party on July 21st! The street will be lined with classic cars and you can also do some antique shopping or enjoy dinner at one of the local restaurants in town, such as the Buchanan Fountain & Grille. FloydFest has gained a reputation as one of the premier music festivals in the country, and you can’t beat the incredible combination of live music and beautiful mountain views. Located off the Blue Ridge Parkway in Floyd County, FloydFest is 5 days of amazing music, dancing, art, and other celebrations of creativity. Thievery Corporation, St. Paul & The Broken Bones, and Michael Franti & Spearhead are a few of this year’s headline acts. For three weeks, Attic Productions presents Kiss Me Kate, a play within a play about a touring company that rehearses and performs a musical version of Shakespeare’s “Taming of the Shrew.” The show has been described as a “love letter to the theatre.” Get your tickets now! Take a guided tour through Thomas Jefferson’s Poplar Forest villa estate while also sampling different beverages and foods that were prepared on the grounds during the summer months. There will also be a display of dining artifacts discovered during archaeological digs at the plantation. For over 40 years, George Thorogood & The Destroyers have stood as icons of rock music with well-known hits like “Bad to the Bone” and “Who Do You Love.” The group brings its distinct rock style and sound to Elmwood Park on July 29th as part of the 2017 Budweiser Summer Concert Series. The show will be opened by 38 Special. 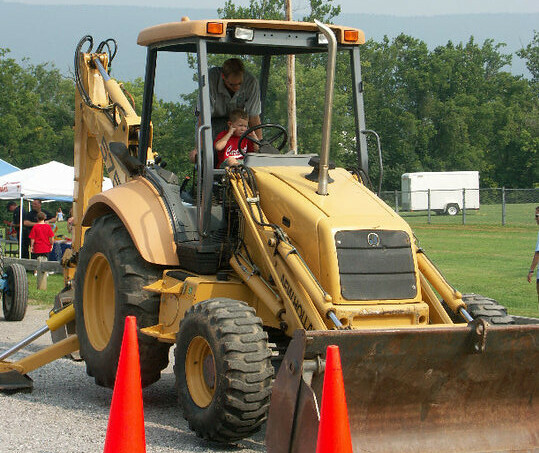 Not only do the kids love all the vehicles on display at the annual Touch A Truck event at Green Hill Park, you’ll feel like a kid again with an up-close look at these unique machines! Whether you’re blowing the horn of a big rig or swinging high in a bucket truck, you’ll find all kinds of fun with over 200 vehicles in attendance. Six different drum corps will put on an exciting musical show in the Salem Football Stadium behind the Salem Civic Center at the Summer Music Games of Southwest Virginia. Get your feet ready to keep up with the beat! The above list is just a sampling of what’s happening this month in Virginia’s Blue Ridge. Visit our Events Calendar for a complete list of upcoming events in the region. 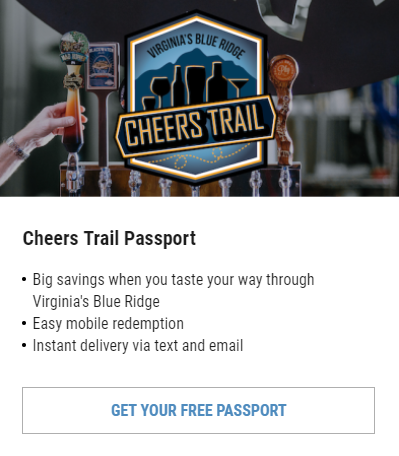 You can also learn more about fun things to do in Virginia’s Blue Ridge by subscribing to our monthly e-newsletter and by following us on Social Media.